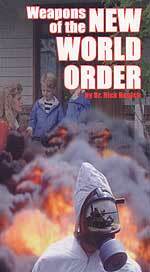 Subtitle: "New Order out of Chaos" - Illuminati always creates a Chaotic scene, then steps in with their "solution". This hurricane should come as no surprise to anyone familiar with the Plan to so create chaos that our Constitution could be dissolved. 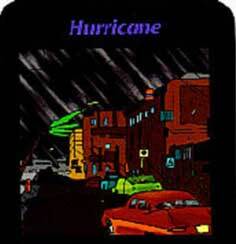 The Illuminati Card Game foretold use of Hurricanes as a destructive force (NEWS1856) to bring down the Old World Order. Once again, this major disaster contained a Numeric Occult Signature! UPDATE: NBC Award-winning weatherman, Scott Stevens, confirms that Katrina was scalar created AND guided, and shows satellite photographs with yellow arrows demonstrating the tell-tale "Scalar Markers" in the midst of the storm. This article is all about Weather Control and Weather Warfare, so if you are not yet aware that scientists working for key governments throughout the world can, and do, control the weather, please take a moment to read our Weather Control section, which includes analysis articles, quotes from key people and bookstore resources. While Mr. Cohen did not specifically mention the control of hurricanes, such control is part of the package of capabilities he did mention; further, hurricanes are also controlled by "the use of electromagnetic waves." * Scott Stevens, NBC Weatherman Anchor, KPVI, Channel 6, Pocatello, Idaho -- "In 2004 we have entered the 2-year "final preparation phase". These operations have been intensified and will continue to be intense, wreaking great economic damage. Hurricanes Charlie, Frances, Ivan, Jeanne, etc. have been no exception to the Yakuza weather engineering, which included directly influencing and controlling each hurricane's power and behavior, as well as directing its course and speed so as to choose its targeting path. Indeed, Ivan did a 180 degree turn, and Jeanne did a 360 degree loop before reaching Florida, demonstrating the degree of control available. Mr. Stevens may be the only NBC weatherman to recognize that scalar electromagnetic waves are being utilized to control weather 24 hours per day, 7 days per week; however, his awards for accuracy in weather forecasting are testimony to the fact that he knows about which he is speaking! * In NEWS1198, we report that Malaysia hired a Russian Weather Modification company to create a typhoon (hurricane) and steer it close enough to shore to blow the forest fire smoke from the cities without causing damage -- and then steer the storm out to sea to harmlessly dissipate it! This news story was carried by the Wall Street Journal, November 13, 1997! * Also in NEWS1198, we report that a United Nations treaty was passed and signed in 1997 called, " The Convention on the Prohibition of Military or Any Other Hostile Use of Environmental Modification Techniques". This treaty prohibits any nation from creating damaging, hostile weather and using it against another nation! Obviously, no one needs to pass laws against something where the technology does not exist; in other words, the existence of this treaty proves that Weather Control and Weather Warfare is real and is a fully functioning science. However, this UN treaty has one major flaw: it does not forbid political leaders from using these Weather Warfare weapons against their own people! "29 August 2005 1425Z Katrina makes landfall Monday morning. Many scalar signatures visible as the hurricane rolls over the marshy lowlands of southeastern Louisiana." UPDATED INFORMATION: NBC Award-winning weatherman, Scott Stevens, confirms that Katrina was scalar created AND guided, and shows satellite photographs with yellow arrows demonstrating the tell-tale "Scalar Markers" in the midst of the storm. 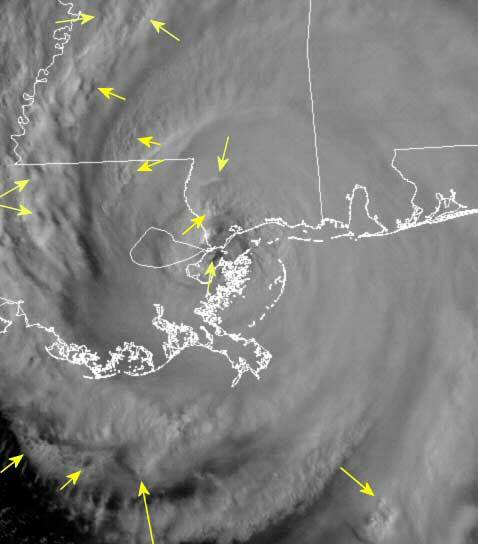 Listen to what this NBC weatherman has to say about Hurricane Katrina. "This nation has not faced an economic crisis like the one that Katrina will spark in the days and months ahead. But that is one of the reasons Katrina was guided along the path that we all watched. This path has resulted in maximum damage to the energy infrastructure, transportation infrastructure and to the psyche of those that are susceptible to further storms this year and in the years to follow." Mr. Stevens know whereof he speaks, since he is a trained meterologist for NBC Weather in Pocatello, Idaho and is the recipient of numerous awards for his unusual accuracy in daily weather forecasting. He has earned these awards because he understands scalar electromagnetic waves and how the Russians are using these waves to globally control the weather 24 hours per day, 7 days a week, carrying out the wishes of the Illuminati. We encourage you to read the entire article, above, but then to go to his (Weather Wars) section, the link of which we carry on our Weather Control site. * Months before the attacks of 9/11, Fox ran a movie entitled, "Lone Gunman" in which planes were remotely controlled to fly into the Twin Towers. * While the attacks of 9/11 were occurring, American anti-terrorism units had planes in the air, "simulating" an attack using airplanes to fly into tall buildings. This so-called "simulated" practice scenario was called "Vigilant Guardian". Another article which reveals even more detail is "Agency planned drill for plane crash last Sept. 11", Associated Press, August 22, 2002. In other words, the Illuminati is boldly publishing their plans to the world, daring its citizens to believe what the facts are trying to tell them. In a football game, where one opponent is vastly superior to the other, the superior team many times will line up in an obvious formation, revealing what play they were going to run, daring the inferior team to stop them! In like manner, the Illuminati has been signaling their intentions, knowing fully well that the truth is so horrible that the average citizen was not going to believe what the facts were trying to tell them. In like manner, FX TV ran a made-for-TV movie entitled "Oil Storm" on June 5, 2005, which seemed to reveal the script unfolding right before our eyes in Hurricane Katrina and its aftermath. Let us quickly review the official scenario as provided on the FX website, realizing that not all the detail contained within the movie is reported in this brief synopsis. We shall include other details of the movie from a person who actually watched it on June 5. Brief Synopsis -- "Oil Storm"
"Oil Storm examines what happens when a category 6 hurricane in the gulf of mexico slams into Louisiana, crushing the city of New Orleans and crippling the vital pipeline for refined oil that is Port Fourchon. It examines the ripple effect of that event and the ensuing cascade of disasters associated with it, through the eyes of public officials, a family in Texas who owns a gas station, an EMS worker in Boston who has to deal with a brutal winter, and a ranching family in South Dakota who have their subsidy's completely taken away and question whether we need oil or food to survive. "As the country reels from the loss of life and energy reserves associated with hurricane's fury, the price of crude oil skyrockets and the United States government sets forth to take immediate action. It puts in motion efforts to rebuild the infrastructure of Port Fourchon (8 months minimum) and the sagging and disabled deep sea rigs in the gulf of Mexico (of equal length). It re-routes activity normally associated with the Port Fourchon shipping lanes to the port of Houston and compels Houston to work 24/7 in order to get the crude to our refineries and out to the public." Now, let us break the details of this movie, comparing them with the facts of Hurricane Katrina. * "Oil Storm examines what happens when a category 6 hurricane in the gulf of mexico slams into Louisiana, crushing the city of New Orleans"
When you read the dozens of articles we have posted on Daily News Updates since August 29, you will note a level of devastation which seems high, even for a Category 4 hurricane. But, if this hurricane was a Category 6, then all this devastation makes sense. For example, the roof of the Astrodome was badly damaged by the high winds, shocking observers who felt that the facility was the one secure place in New Orleans; winds had to have been very high to rip that roof open. * "... crippling the vital pipeline for refined oil that is Port Fourchon"
"A Category 5 hurricane, the most severe type measured, Katrina has been reported heading directly toward the city of New Orleans. This would be a human catastrophe, since New Orleans sits in a bowl below sea level. However, Katrina is not only moving on New Orleans. It also is moving on the Port of Southern Louisiana. Were it to strike directly and furiously, Katrina would not only take a massive human toll, but also an enormous geopolitical one ... It is a key link in U.S. imports and exports and critical to the global economy." "The Port of Southern Louisiana is a river port. It depends on the navigability of the Mississippi River ... The port might become in whole or part unusable if levees burst. If the damage to the river and port facilities could not be repaired within 30 days when the U.S. harvests are at their peak, the effect on global agricultural prices could be substantial." "There is a large refinery at Belle Chasse. It is the only refinery that is seriously threatened by the storm, but if it were to be inundated, 250,000 barrels per day would go off line ... About 2 percent of world crude production and roughly 25 percent of U.S.-produced crude comes from the Gulf of Mexico and already is affected by Katrina. Platforms in the path of Katrina have been evacuated but others continue pumping. A narrow, two-lane highway that handles approximately 10,000 vehicles a day, is used for transport of cargo and petroleum products and provides port access for thousands of employees is threatened with closure. A closure of as long as two weeks could rapidly push gasoline prices higher." * "It puts in motion efforts to rebuild the infrastructure of Port Fourchon (8 months minimum)' -- In his speech yesterday, President Bush specifically stated that one of the priorities of his Administration was to "rebuild infrastructure". He mentioned that this type of construction might take "years" to finish. * " It examines the ripple effect of that event and the ensuing cascade of disasters associated with it..."
1) Dramatically higher transportation costs, driving retails higher on all commodities and hard line goods as well. Retailers would be forced to hike prices across the board. 2) If the trucking industry is forced to undergo fuel rationing, shortages of product are going to occur. Food might disappear from grocery stores, lines will form again for gasoline, seasonal retail goods might not arrive in stores on time, factories might have to close because they cannot get critical supplies when they need them, products which require refrigerated trucks might rot and farmers harvesting their crops may not be able to move them to port for shipping. "DETROIT — The day after General Motors' shares soared on news that activist investor Kirk Kerkorian intended to double his investment in the ailing automaker, ratings firm Standard & Poor's said Thursday it is cutting GM (GM) and Ford Motor (F) debt ratings to junk status ... GM's shares dropped 6% Thursday to $30.86. Ford's fell 4.5% to $9.70. "S&P analyst Scott Sprinzen said GM and Ford are betting too much on the prospect that the SUV market will pick up when they introduce new models." Did you catch the significance of this sentence? GM and Ford are both counting heavily on their new line of SUV vehicles to prop up sagging sales and profits. However, SUV's are "gas hogs". In this climate of rapidly increasing retails and gas shortages, buyers are likely to shun SUV's in favor of models which get much higher gas mileage. In other words, the market may be about ready to dramatically change consumer preferences. If this is the case, GM and Ford may find themselves betting on the wrong type of new vehicles. Already in a weakened state, these two American behemoths may finally fall, thus weakening an already fragile economy. You can probably think of other "rippling" effects this combination of tight supplies and disruption of supply can have on the economy. If you can think of other significant "ripple effects", email them to me. * "It re-routes activity normally associated with the Port Fourchon shipping lanes to the port of Houston and compels Houston to work 24/7 in order to get the crude to our refineries and out to the public." Yesterday, President Bush announced that he is opening up the Strategic Reserve, allowing crude oil to flow to refineries. Thus, he is taking the action called for in this movie. Now, let us examine some other parts of this movie, "Oil Storm" not included in this official synopsis. My source is a long-term Cutting Edge subscriber who actually watched the movie on June 5; unfortunately, he did not tape the show! * Saudi Arabia agreed to increase their oil shipments by 1 million per day -- Saudi Arabia has already announced this move! "Saudi Arabia moved to reassure markets on Monday, saying it was ready to boost its oil output to 11 million barrels per day (bpd) to fill any supply shortages caused by Hurricane Katrina. Current production from Saudi Arabia is roughly 9.5 million bpd, according to industry estimates." Therefore, Saudi Arabia is increasing its daily output by 1.5 million barrels. However, remember that the current spike in retail gas prices has been occurring for over one year now, and is the result of refinery capacity being taken off line, not because of any shortage in crude oil (NEWS1925, posted one year ago). Therefore, just releasing oil from the Strategic Oil Reserve and having Saudi Arabia agree to increase its daily crude output will not solve the finished products supply problem. * Saudi terrorists strike within that country, angry that Saudi Arabia is trying to bail America out. We have not heard yet of any such terrorist activity within Saudi Arabia, but we also would not be surprised should it occur. * "Oil Storm" depicts that oil and gas prices hit new, unprecedented heights. We are already seeing this level, with a surge to $4 per gallon gasoline being predicted by the end of the year. In Atlanta, some gas retailers reportedly are charging nearly $6 per gallon! * This movie depicted oil rigs adrift in gulf, major highways shut down. Once again, we have seen news reports of this very thing. In Mobile, Alabama, an oil rig platform broke loose during the storm and smashed into a major bridge. "A 13,000-ton oil platform blown loose from its moorings Monday morning by Hurricane Katrina plowed through a state docks terminal and then slammed into the Cochrane-Africatown USA bridge, severing a vital trucking link ... State Transportation Department inspectors began examining the bridge Monday evening after traveling from Montgomery ... Trucks carrying hazardous materials depend on the bridge to bypass the Wallace and Bankhead tunnels, where such cargo is prohibited. The closure means hazardous-material trucks must go north to Interstate 65 to cross the river." * "Oil Storm" depicts Homeland Security and FEMA taking charge. "WASHINGTON — The Federal Emergency Management Agency is seeking 2,000 Homeland Security Department workers to spend two weeks carrying out duties in the area devastated by Hurricane Katrina. FEMA director Michael Brown told Homeland Security Secretary Michael Chertoff (search) in a letter that he needs 1,000 people within 48 hours and 2,000 within a week. Training will be provided in Emmitsburg, Md., Atlanta or Orlando and special skills, such as being bilingual or having a commercial driver's license are important. The volunteers are being told they must be able to work long hours, outdoors, all day..."
" Orlando will soon be a vital part of the federal government's massive rescue operation for victims of Hurricane Katrina. Thousands of emergency workers, planners, managers and rescue crews are expected to come here in the next few weeks as the Federal Emergency Management Agency sets up long-term hurricane-recovery operations. FEMA chose Orlando because it is close enough to move workers back and forth from the hardest-hit areas, said Scott Morris, FEMA director of Florida long-term recovery. The effort, he said, will be the nation's largest ever." * "Oil Storm" depicted mass looting. "Chaos spread across New Orleans along with the brown, toxic floodwater in the early hours of yesterday morning, and the thousands of stragglers still trapped awoke to find themselves in a city with few laws, little mercy, and no clear way out. The police seemed to have all but evaporated in the course of a night of looting and gunfire, in which at least one police officer was badly injured ... there were no guardsmen on the streets to deal with the wreckage of the city ... Everyone who had passed the night in the commercial district had lived their own nightmare. 'It was like a war zone here. There was shooting and looting, and I saw people beating women; it's .... ugly' ...."
* "Oil Storm" depicted people being moved into sports stadiums as an emergency measure. "BATON ROUGE, La. - With conditions in New Orleans rapidly deteriorating, Gov. Kathleen Blanco said today that people now huddled in the Superdome and other rescue centers need to be evacuated. The situation is untenable, Blanco said during a news conference. It's just heartbreaking. Because of two levees that broke today, the city was rapidly filling with water and the prospect of having power was a long time off, the governor said. She also said the storm severed a major water main, leaving the city without drinkable water." "From WWL-TV's wwltv.com: '4:21 P.M. - WWL-TV Reporter quotes officials as saying there may now be 60,000 people in the Superdome and that more people are still being urged to go there'. Official spokesmen are now denying the numerous reports this morning from National Guardsmen and others that New Orleans is under martial law. But that is exactly what NO and southeast La. are under as the governor demands the entire city be evacuated. Numerous media reports indicate that refugees are not allowed to leave the Superdome. The Superdome is now a prison. Tens of thousands of Americans, trapped in a 21st-century FEMA concentration camp." * This movie depicted huge lines at gas stations with customers taking it out on the gas station owners. Yesterday (August 31, 2005), I noticed long gasoline lines forming in my community of Lexington, S.C. This scene was not unusual across this nation. "FORT PAYNE, Ala. (AP) - A man surrendered to police Thursday in the death of a gas station owner who tried to stop a $52 gasoline theft by grabbing onto a moving vehicle, but was run over and killed. Police said Alvin D. Benefield, 42, surrendered Thursday and was held on charges including theft and manslaughter in the death of Husain 'Tony' Caddi, 54. Caddi was killed Aug. 19 in the drive-off at his Texaco station in Fort Payne in rural northeast Alabama." Now that gas is vastly more expensive than just on August 26, it seems likely that we shall see this type of tragedy occurring. * "Oil Storm" depicts millions of consumers losing electrical power. "HATTIESBURG — Many homes and businesses were destroyed by the powerful hurricane that came ashore near New Orleans and then mowed through the heart of Mississippi. Power was lost throughout south Mississippi and officials expect it may not be restored for at least two weeks." "MOBILE — Hurricane Katrina hammered Alabama's coast with torrential rain and howling, tree-bending winds today as floodwaters swirled over downtown streets, crashed over beach seawalls and drove families from bayou homes ... Alabama Power Co. reported about 150,500 customers without power, mostly in the Mobile area ... Exploding transformers lit up the predawn sky as power outages spread." * "Oil Storm" depicts Martial Law being declared in the wake of the storm. About 24 hours after Katrina struck, Martial Law was declared in New Orleans. "NEW ORLEANS, Aug. 30 (UPI) -- Martial law was declared in New Orleans midday Tuesday as the city continued flooding from at least two levees damaged by Hurricane Katrina. Mayor Ray Nagin said bodies have been seen floating in floodwaters, although neither city nor Louisiana state officials had issued a preliminary death toll. Nagin said the city's Twin Span Bridge is 'totally destroyed' and that 80 percent of the city is underwater. New Orleans is 6 feet below sea level, and reliant on levees to hold back water from Lake Ponchartrain ... He also predicted there would be no electricity in the city for four to six weeks. Natural gas leaks were also reported throughout the city." As you can see, the movie "Oil Storm" very accurately portrayed the real events from Hurricane Katrina. 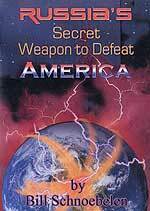 Since scientists working for key governments in the world -- countries which are totally dedicated to the overthrow of the Old World Order (our present civilization) so the New World Order can be established -- can now control natural events (including hurricanes) they can bring about a carefully crafted scenario. We made this point a year ago about the horrific movie, "The Day After Tomorrow". This movie must be taken seriously, for it reflects true thinking amongst key leaders of today; scientists working for these leaders have the capability to make the devastation portrayed actually come true. 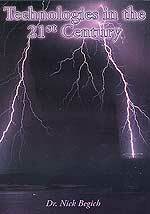 Likewise, scientists have the capability to make the scenario of "Oil Storm" come true. If fact, we believe it likely that the scenario for the movie was created by input from the scientific community as to what these scientists intended to do and what our political leaders planned to do in the aftermath. This storm will likely allow our government to take the actions in this region which they eventually plan nationwide: Martial Law, Suspension of Liberties and Rights, Holding of People In Detention Centers. While we have not seen all these occurring yet, we believe it is possible all these actions will occur. This scenario has consistently unfolded as a "worst case" scenario, with no good news. Therefore, we believe that this hurricane has likely set in motion the "beginning of the end" events. Israel is the key, as we have noted on many occasions; she has just finished her first stage of unilateral withdrawal, and is setting the stage for the second phase to begin. Since Israel is now getting ready to go to war, all other planned events designed to bring down the old system so the Masonic Christ can arise to take control of the new system can now begin. Since this is a "Birth Pangs" scenario, we can expect the number of disastrous events in the world to increase, with less and less time in between. This increase in severe Birth Pangs activity has already begun. If you have not yet come to understand that our occult leaders bring events to pass according to certain key occult "sacred numbers", please take the time to read NEWS1756. Only then will you understand this segment of the article. Hurricane Katrina was carried out according to the following occult sacred numbers, giving her a Numeric Occult Signature. * Katrina came ashore in the New Orleans -- Mississippi area between 6:07 - 6:11 am. Since Sunrise occurred at 6:36am, this storm literally greeted the Sunrise. This may not sound like a big deal to you, but to a pagan whose primary god is the Sun, this is a very huge deal. Of course, since this was also the time of High Tide, the storm surge was greatly intensified. Of course, the number "3" is the number of the pagan trinity (Satan, Antichrist, False Prophet), while "11" is the number of the coming Masonic Christ and "18" is a hidden "666" because it is the sum of "6+6+6". Thus, the dates between August 29, 2005 and these two important dates on the Illuminati timetable provide interesting occult sacred numbers, especially the number "11". Therefore, Hurricane Katrina carried a significant, and obvious, numeric occult signature! She was obviously and carefully created in order to produce the societal chaos so needed to bring down the old system and bring in the new, along with the New Messiah, the Masonic Christ. Remember also how the Biblical concept of this entire series of events being as a "birth pangs" ('sorrows' in the King James Version). 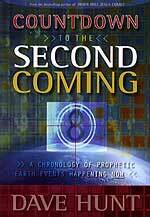 Jesus foretold in Matthew 24:6-8 that Antichrist would come to the world scene as "birth pangs" produced him. As adults know, birth pangs get closer together, and they greatly intensify, as the birth of the baby gets closer. Likewise, the Illuminati has planned that the "birth pangs" disasters planned to produce their Messiah would intensify and get closer together as the time for his appearance gets closer. He will literally come striding out of the smoke and disaster of the Third World War, his appearance prepared by natural disasters, deadly pestilence, famine, and earthquakes in many places throughout the world. 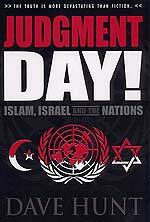 We should be prepared for more of these types of events, occurring closer together. A global "timetable" -- "schedule" is in place and being followed by the Illuminati. Both Israel and other events like Hurricane Katrina are marching according to this "schedule". Time seems to be getting very, very short.